Worldwide traditions say that a cosmic mountain once rose to the center of the sky, joining heaven and earth. Now plasma science offers a confirming witness, in the behavior of high-energy plasma discharge. The ancients lived in the shadow of a colossal mountain identified as the abode of the gods. 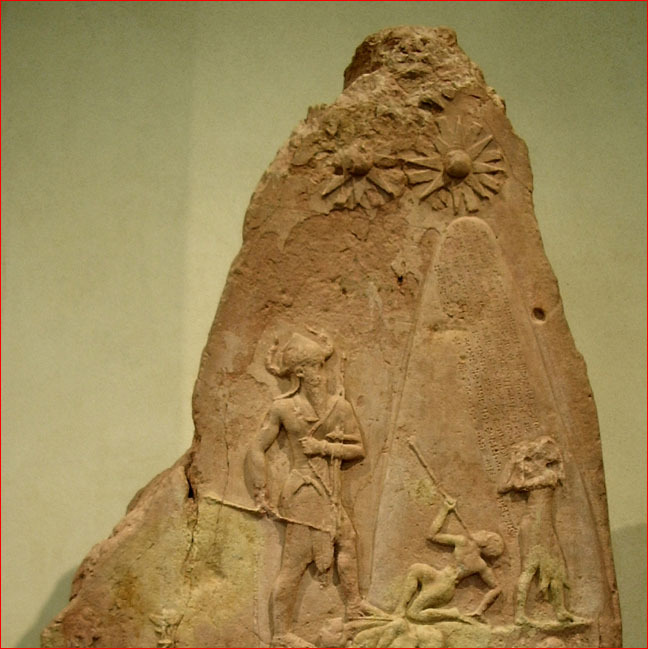 The Sumerians and the Babylonians knew it as the Khursag or the Kur, and as early as the 23rd century BCE it was depicted on the victory stele of king Naram-Sin of Akkad, shown above. The two stars on the apex identify the rock as the residence of celestial powers to whom the mighty ruler pays homage for his victory. This 'cosmic mountain' was given different names in different cultures. The Egyptians knew it as the Primordial Mound, the Israelites as Sinai and Zion, and the Greeks as Olympus and Parnassus. Further afield, the Indians called the divine peak Meru or Sumeru, the Chinese Kun-lun, Sung-shan, or Bu-zhou, the Icelanders Himinbjörg, the Aztec Colhuacan, and the Choctaw Nunne Chaha. During the 20th century, specialists in each of these cultural areas have tended to downplay the role of the cosmic mountain, arguing that the sacred peaks and pinnacles mentioned in the ancient writings were nothing more than the mountains found locally. According to them, Naram-Sin's 'mountain of the sun' simply referred to the Zagros Mountains, over which the sun appears to rise for the natives of northern Mesopotamia. But these scholars have vastly underrated the importance of the theme. As 19th-century researchers have ably demonstrated, the reports given of the cosmic mountain in mythology indicate that it was a highly unusual object, rooted in a universal archetype. The mountain's height was prodigious, reaching from the deepest underworld to the top of the sky. At the creation of the world, it rose up from the waters of chaos, pushing heaven and earth apart as it grew. It stood exactly in the centre of the universe and the forces of four cardinal directions met at its summit. It was of a luminous substance, ablaze with fire, or decked with gold and silver. Two peaks crowned its summit. A bird was seated on its top, called Anzu or Imdugud in Babylonia, Phoenix in Egypt, Garuda in India, and the thunderbird Wakinyan among the Sioux. Its interior was hollow and filled with a mysterious substance identified as the juice of life, the divine breath, a perpetual flame, lightning, or the waters of the flood. The souls of the dead traversed it on their way from the underworld to the sky or vice versa. The mythical hero or ancestor climbed it as part of his quest. And the Golden Age ended when the mountain was ripped apart, the flood gushed forth, and the bond between heaven and earth was broken. Each of these pervading themes shows that the cosmic mountain hardly answers to any familiar phenomenon in the natural world. Clearly, it was a feature of the mythological landscape that was independently localised when different cultures identified it with different rocks in their own environment. The striking parallels cry out for an explanation nonetheless. The detailed agreement of its characteristics in cultures from far-flung corners of the world shows that there is definitely some reality behind it. And this is where plasma comes in. 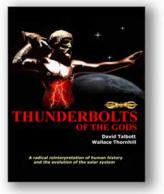 The remarkable synthesis between the most up-to-date findings of plasma physicists and the artefacts and traditions of ancient mankind has the potential to cast a refreshing light on the subject. The present interdisciplinary investigation suggests that the features of the cosmic mountain—and dozens of additional motifs—can be satisfactorily accounted for if the object commemorated in these traditions included a heaven-spanning plasma discharge tube, formed during the late Palaeolithic in response to high-energy disturbances in the geomagnetic field. Extensive laboratory experiments performed under the auspices of plasma physicist Anthony Peratt have shed much light on the specifics of the morphological 'cycle' such a plasma column would have gone through. Down to the finest and most unusual details, this sequence matches the profile of the mythic “mountain of the gods”. The myth of the cosmic mountain, therefore, deserves rigorous cross-cultural exploration. Where cultures agree on unique details, this consensus is evidence, and may well provide vital information about the ancient natural environment, suggesting promising lines for scientific investigation.